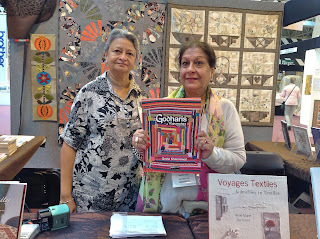 Quiltmania made a magnificence book with quilts from India. I have been in India 5 times so I was trilled to see this Quilts. It made me to want to go back. 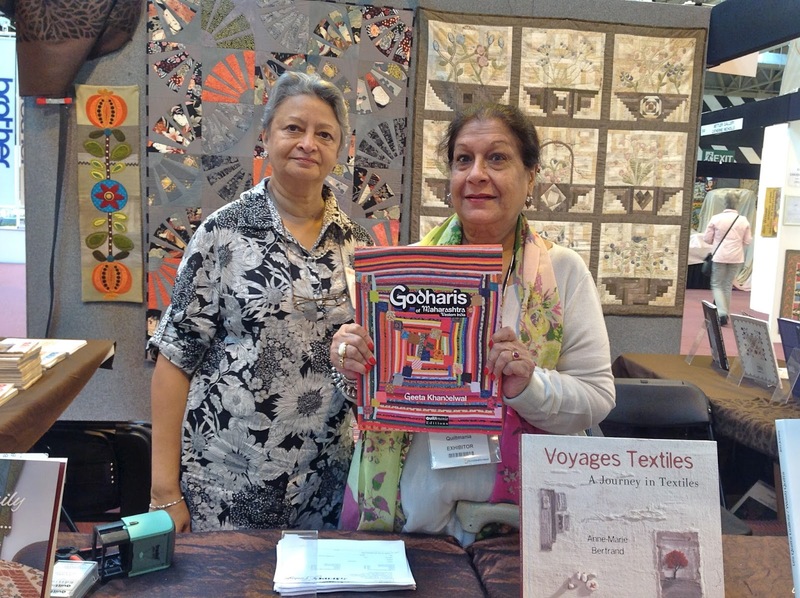 In the booth of QUILTMANIA. I went to a lecture about the quilts. these quilts are made from the border to the middle. Very interesting. I don't think I could ever learn to make a quilt from the outside in!